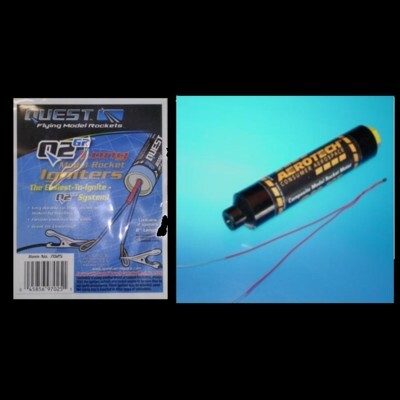 Pack of 2 of the ever-reliable Quest G2 twin wire igniter 200mm long. Durable squib with flexible insulated lead wires. Ideal for clustering and igniting parachute ejection charges, in addition to igniting advanced model rocket motors - E through G power.